As normal our captain lost the toss and due to Nondies only having 7 players that had arrived at the fortress of cricket in Standlake, they elected to bat first. After two overs they were 36-0 looking good, however with some controlled bowling by Steve Roberts and pace from Cam Spilsbury we started to peg back the scoring rate. Stevie bowling away from the bat off the seam, what is all that about Robbo? We continued to bowl well and with the introduction of spin at one end, Waz Mehmood bowled with accuracy and turn and bounce, and Lakey from the chapel end, bowled a very lively spell, with one catch taken by our capt at first slip that went over Coatesy head, diving in mid air taking the catch two handed, well I say diving in mid air, probably got off the ground an inch or so! Mehmood 2-17 and Lake 3-14, Roberts 2-39, Cook 1-20, Spilsbury 2-28, and Nondies finished on 150 inc 30 wides! As we bowled them out in 30 overs we went out for 50 mins before tea and we were in trouble at 57-4, with Mehmood Bartlett, Lake and Soppet back in the pavilion. Capt was still there on 29 not out. After tea, which I think went far better for Downs than Nondies to be fair, we saw a crucial 51 partnership between Woods and Coates before Coates departed for well constructed 20. As the rain started to drizzle, Woods cut loose hitting 4 sixes and 5 fours before he was out for 73. With List and Cook departing cheaply, it was left to Roberts 19 not out and Gould 4 not out to see us over the line. 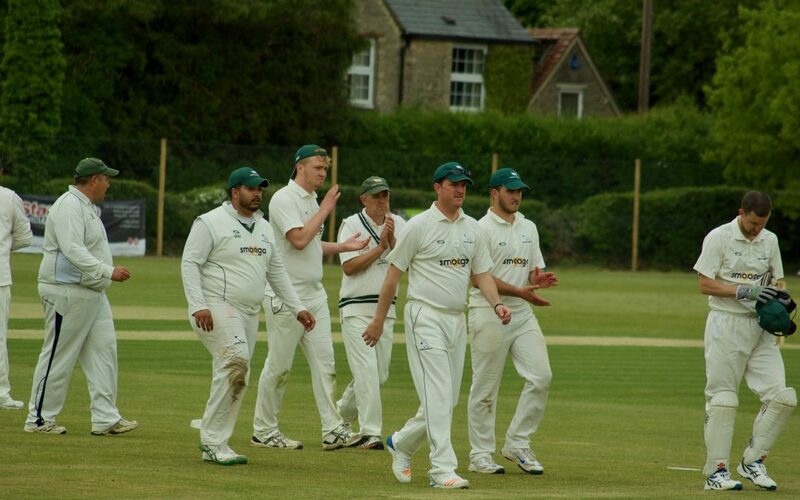 A special mention to Downs in this as we could have come off for the weather and won on Duckworth lewis but we stayed on which made for a very tight finish in a game which could have gone either way. Well played Guys, on to Stokenchurch next week.